While the neighborhood of EaDo (or East Downtown) may be small, it’s also known as the “Art & Soul of the City.” Once home to the Old Chinatown, the warehouse-heavy no man’s land is transforming into the city’s next haute neighborhood, rocking entertainment venues, art installations, and a mosaic of restaurants and bars. And the best part is, it’s totally walkable. Note: For the purposes of this list, the concentrated, walkable section of EaDo sits between Leeland and Texas between Chartres and Emancipation. 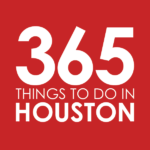 Art & Paint Walls – Check out the artwork at Graffiti Park on Leeland and St. Emanuel; snap a pic in front of the “We Love Houston” sign by 8th Wonder Brewery, the “Zipper Colorful Wall Mural” on St. Emanuel, or the “Abstract Happy Beach Wall” by Warehouse Live. On the nearby Jefferson, you’ll find the Graffiti and Street Art Museum of Texas. BBVA Compass Stadium – Go “orange” for the Houston Dash and Dynamo at this soccer stadium, which sits on Texas with the backdrop of the Downtown skyline. The games are always high energy, with the crowd of pumped fans dressed (and some even painted) in orange. The Secret Group – Over on Polk, this bar is also a multipurpose venue, hosting stand-up comedy, music, and a variety of other events both in the bar and back showroom. Warehouse Live – Catch popular and up-and-coming artists at this cult favorite music venue and event space, located on Saint Emanuel. Mercy Night Club – Club goers may want to check out the Vegas-inspired experience at this EaDo nightclub. 8th Wonder Brewery – This fresh and funky brewery has won over its hometown with suds that feel wholly Houston, from Hopston Texas IPA to Rocketfuel, a Vietnamese coffee porter. Hit the taproom—open 7 days a week—to get fresh pours straight from the source, and chill out in its sprawling backyard to sip your brews alongside elote fries and Wonder burgers from the onsite Eatsie Boys food truck. AHH, Coffee – Linger over flat whites and matcha donuts at this neighborhood coffee shop on Rusk. Around the Corner – In addition to awesome things like a beautifully restored bungalow space and patio, hip crowd, and free coffee on the first Monday of every month, this neighborhood hangout rocks a nice, long happy hour and weekend brunch. Located on Hutchins, stop by for a peach bourbon smash and charcuterie and cheese board. Brothers Taco House – This Emancipation taco house is known for its cheap, buffet-style breakfast and lunch tacos offered 7 days a week. Café TH – Just one block past Leeland on Pease, this cult favorite eatery offer local and fresh takes on Vietnamese classics, with excellent prices and BYOB, to boot. Get banh bot chien, flawlessly crafted banh mi, fragrant pho or bo kho (beef stew), and extraordinary multi-course dinner specials. Chapman & Kirby – Located on Lamar, this trendy hangout offers craft cocktails and bites, from cheese boards and Ahi poke to brie flatbread and filet mignon. District 7 Grill – With lunch, brunch, dinner and happy hour, this casual American grill has something for everything. Stop by the Hutchins spot for salads, muffulettas, pasta, burgers, and steak. Huynh – Vietnamese homestyle cooking is at its finest at this St. Emanuel haunt. BYOB and dine on fresh spring rolls, char-grilled pork and stir-fried beef rice plates, vermicelli noodle bowls, pho, and other fresh traditional Vietnamese dishes. Indianola – The Agricole Hospitality team (Revival Market, Coltivare, and more) opened a trio of hangouts in EaDo, including this modern American restaurant, where you can indulge in crispy duck wings, Texas Wagyu burgers, wood-grilled chicken, and ricotta gnudi. King’s Court – This British and Indian pub sits on Hutchins right by BBVA Compass Stadium, making it a choice spot for a pregame before a Dynamo match or place to catch a game on the big screen. Sip suds and dig into chicken tikka masala, fish & chips, and samosas. Leeland House – Pop into this neighborhood café and bistro to enjoy a glass of wine, French onion soup, and BLT. Little Woodrow’s – Located on Walker, the EaDo outpost of this local favorite offers 35 beers on tap, plenty of televisions for game day, weekday happy hours, and some pretty awesome daily specials, including Crab Racing (Tuesday) and Steak & IPA Night (Wednesday). Lucky’s Pub – This massive bar is a sports haven, offering a stellar big screen tv setup and located within walking distance of the George R. Brown convention center, Minute Maid Park, BVA Stadium and the Toyota Center. Stop by for a cheap happy hour, or watch the games along with pitchers of beer, burgers and bar pies. Miss Carousel – Another Eado haunt from Agricole Hospitality (Revival Market, Coltivare, and more), Miss Carousel is a bar concept offering quality cocktails and charm. Neil’s Bahr – If sipping cheap drinks, perusing comic books, and roughing your friends up in a game of Mario Kart is your idea of a good time (and it should be), this hole-in-the-wall drinkery off Walker is the place for you. Rodeo Goat – On the corner of Dallas and St. Emanuel, this burger import has quickly become a local fave. Get burgers stacked with everything from herb goat cheese and beefsteak tomato to brisket chili and corn chips, and don’t forget to add on the cheese fries surprise. Sparkle’s Hamburger Spot – This unassuming burger shack serves up one of Houston’s tastiest burgers on the corner of Emancipation and Leeland. Truck Yard – Spend the day or night at this adult playground off Lamar, which houses a cheesesteak shop, cocktails on tap, and working Ferris wheel. Vinny’s – From the team behind Agricole Hospitality (Revival Market, Coltivare and more), this spot slings dough for pizzas by the slice or whole pie. Stop by for a massive slice topped with everything from pepperoni and Italian sausage to brussels sprouts and back fat bacon. Texas Art Asylum – Just a few short blocks away on Live Oak, hit this quirky shop for supplies, classes, and special events.